My first attempt at novel-length manuscript took place in Berlin in the early 1990’s when I lived there for a while. It was a wonderful time in the then unrenovated and degentrified Eastern Berlin. I was young and… Well, more about that some other time. I wrote a novel (very much unpublished, of course) in a cold room in Prenzlauer Berg. This experience of writing a novel was important in at least two ways: I now knew that I could write a lengthier story and I knew what my true calling truly was. Of course, I got sidetracked. Once back in Helsinki I ended up in an advertising agency, working as a copywriter. Not against my will, it was something I wanted to try. I quickly became quite good at it and spent the next 12 years doing it for a living. And I hadn’t given up on my ambition to become a writer. It’s just that I was working long days and drinking long nights when I wasn’t working. The novel got good reviews and poor sales so I returned to advertising. But this time it was different. I wrote my second novel on the weekends and on the holidays. I worked hard all the time now. The novel – called My Brother’s Keeper – was published in 2009 to great reviews including the biggest newspaper in Finland, Helsingin Sanomat. Maybe three weeks after the novel’s publication I got laid off from the advertising agency I was working in at the time. I knew in my heart that this is it: it’s now or never, go do what you really want and don’t look back. The very next day I started writing a novel that was to be The Healer. It came out in 2010 and in early 2011 it was awarded The Clue Award for the Best Finnish Crime Novel of the Year. Since then, it has been published in 28 countries. It is now the November of 2016. 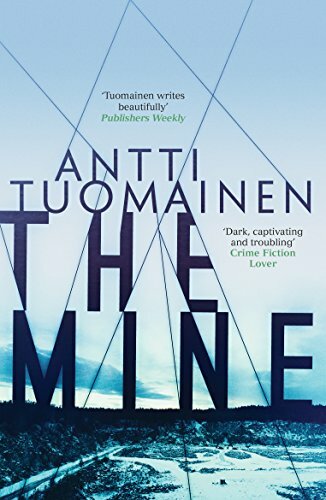 I have recently published my sixth novel here in Finland and my third novel in the UK (THE MINE) has also just come out. I’m a full time writer now. I work with great publishers and I have a brilliant literary agency representing my work abroad. This is all beyond my wildest dreams. On the other hand, it also took a while. I decided to be a writer when I was 18. That was 27 years ago. And that really is how long my publishing story is.